This is a pair of Pit Bull Rock Beast XOR 2.2/3.0" Short Course Tires in Komp Kompound (ultra soft). These tires also include two standard machined foam inserts; NOT the closed-cell shaped Vamonos foams. 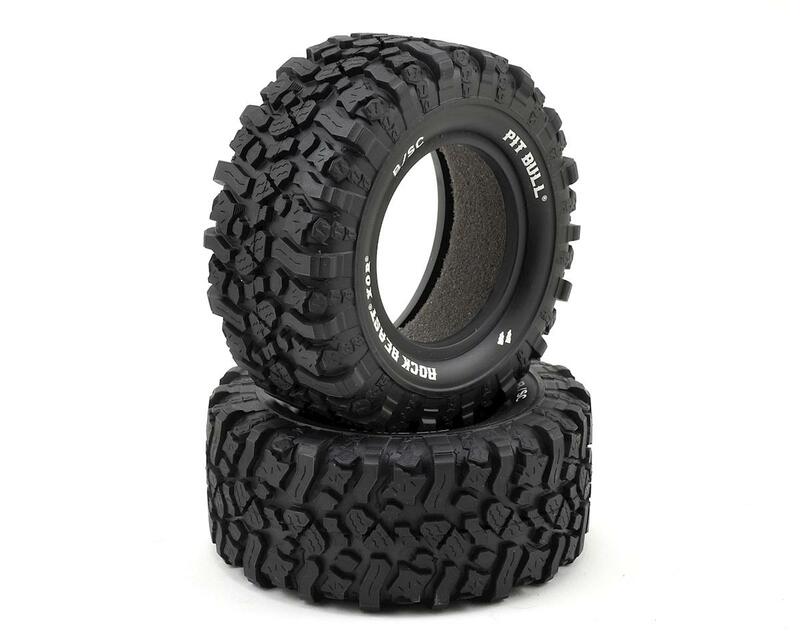 The Rock Beast XOR B/SC Scale 2.2/3.0's are miniaturized versions of the Champion Pit Bull Rocker LT 1:1 tires…tires that have been used on 1:1 Short Course and Desert Trucks as proven “point and shoot” tires. Pit Bull have designed the Rock Beasts for R/C Short Course Trucks (SCT) so now YOU can run these bad boys in your backyard or on the street and BASH AWAY! 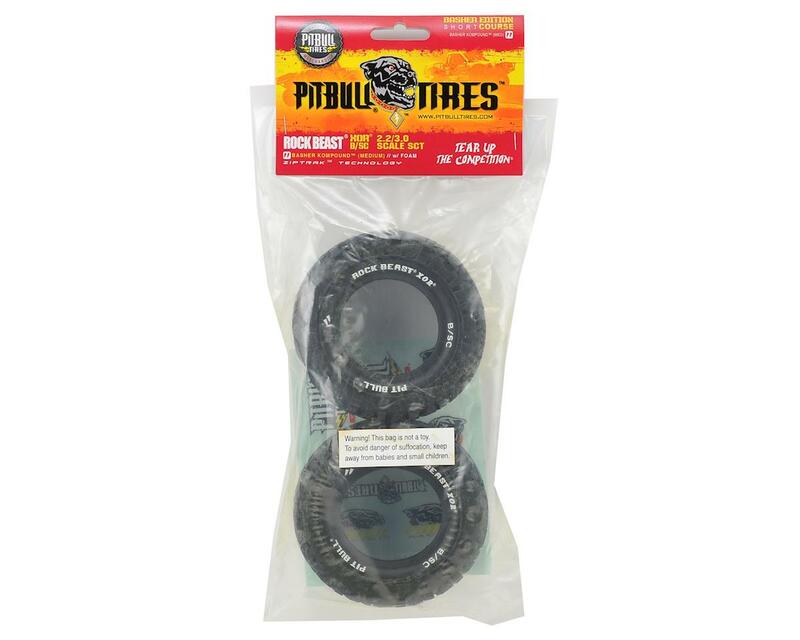 The Pit Bull multi-varied tread design increases forward/reverse and lateral traction with serious biting across the footprint. These Rock Beasts have many features designed to increase speed and control while enhancing stability and contact patch. Pit Bull has done their best to restrict ballooning using their ZipTrakTM Technology. What's that you ask? Inside ribbing just underside the tread area designed to help belt and strengthen. It also helps to hold the foam in place to prevent slippage. Excellent lateral bite--incredible stickiness and exceptional traction. Basher Kompound: Medium Compound for those who want to Tear It Up! They seem to get better and better as they break in... and you can use them for your daily hobby time knowing that you get durability and traction RIGHT OUTTA DA BOX!!!! Zuper Kompound: Soft compound for those who want to tear it up! Not too hard, not too soft. Komp Kompound: Ultra Soft Compound for those who want to have exceptional stickiness, traction and the confidence that you're running a Pit Bull. You will be king of the heap with the Komp Kompound!